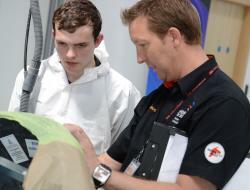 Automotive Apprenticeship starts in England have seen their first increase since the end of 2010. The Institute of the Motor Industry (IMI) found a 4.2% increase, up to 10,940 starters, in 2012/13 in their yearly benchmarking report. Apprenticeship start figures have been falling since 2009/10 in the face of economic recession, with a 14.8% decrease recorded in 2011/12 according to figures from the Skill Funding Agency. The biggest improvement in apprenticeship starts came in vehicle sales, with an increase in uptake of 233.3%. Meanwhile, Vehicle Parts, Vehicle Maintenance and Repair, and Vehicle Body and Paint also showed slight increases.